Poems from a Mermaid: Mindcraft. Teenspeak. 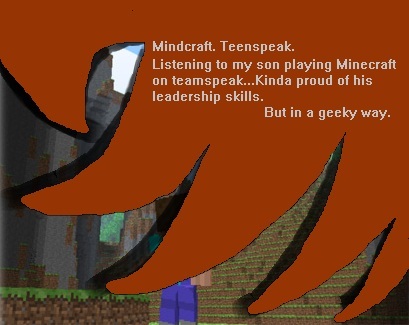 Listening to my son playing Minecraft on teamspeak...Kinda proud of his leadership skills. But in a geeky way.